Are you looking for a floor plan that gives you a break from the traditional American home design? Donald A. Gardner Architects offers a number of European style houses that will give you the character and ambiance you crave. 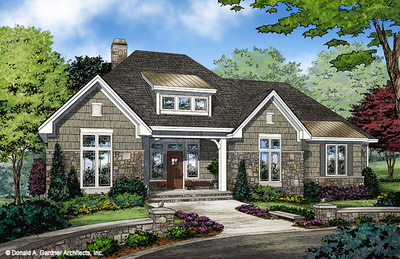 From French European home plans to cozy European cottage house plans, Donald A. Gardner Architects will help you find exactly what you are looking for. Whether modeled after French Country house plans or designed as an elegant Tuscan home plan, European home designs add interest and aesthetics to your home plan. These home designs feature interesting gables and rooflines, grand facades and welcoming floor plans. European house plans may be brick, stucco or stone, and often offer floor plans with grand foyers, soaring fireplaces, gourmet kitchens and other custom-styled amenities. Donald A. Gardner Architect's European-style home designs incorporate some of these elements and include attention to elegant details such as French doors, spiral staircases, sitting rooms, brick arched entryways, and fireplaces throughout. 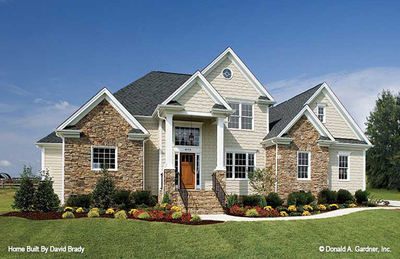 As you search for European-style plans, Donald A. Gardner Architects has one of the largest selections available. By buying directly from us, you will not only get the variety you want, but you also will be buying directly from the architect. This allows you to get fast answers to any questions you have about your design. Take a look at our European-style plan, The Carrera. It is a little over 4,200 heated square feet with 5 bedrooms and 4 baths. It incorporates European elegance with the combination of stone, stucco and cedar shakes, and the wood shutters help keep with the old-world charm. Are you looking for something a little smaller? 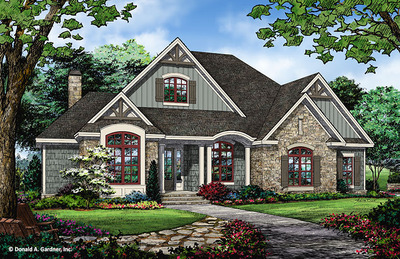 The Foxglove, with its gabled roofs and brick stone exterior, captures the essence of European style. It features an open floor plan, large windows and an arched entryway, and measures 1,715 square feet of heated space. When you are ready to make your European-style home design a reality, you can search and sort European house plans by square footage, number of bedrooms or newest to oldest home European style home plans. All you need to bring is your enthusiasm and desire to find your perfect European house plan - we'll do the rest! Learn more about our modification services by clicking here.